Times Higher Education named this paper as the most discussed academic paper in 2018 through its Altmetric 100 (and the most discussed ever in the Altmetric 100’s six-year history). According to an interdisciplinary study released today online at the New England Journal of Medicine, the mortality rate in Puerto Rico may have risen by 62% [95 % Confidence Interval (CI), 11% to 114%] in 2017, after Hurricane Maria. The numbers from this collaboration between the Harvard T.H. Chan School of Public Health, the University of Colorado School of Medicine, and Carlos Albizu University in Puerto Rico, to which the Harvard FXB Center for Health and Human Rights contributed significantly, suggest both the official Puerto Rican death registry numbers of 64 excess deaths and other reports have seriously underestimated the death toll attributable to Hurricane Maria. The study also offers insight into the effects on health of damage to infrastructure and delays in its repair. About one-third of the additional deaths arose from lack of access or delayed access to healthcare, most likely from infrastructure damage. Hurricane Maria made landfall in Puerto Rico on September 20, 2017, inflicting approximately $90 billion worth of damage and displacing thousands of residents. 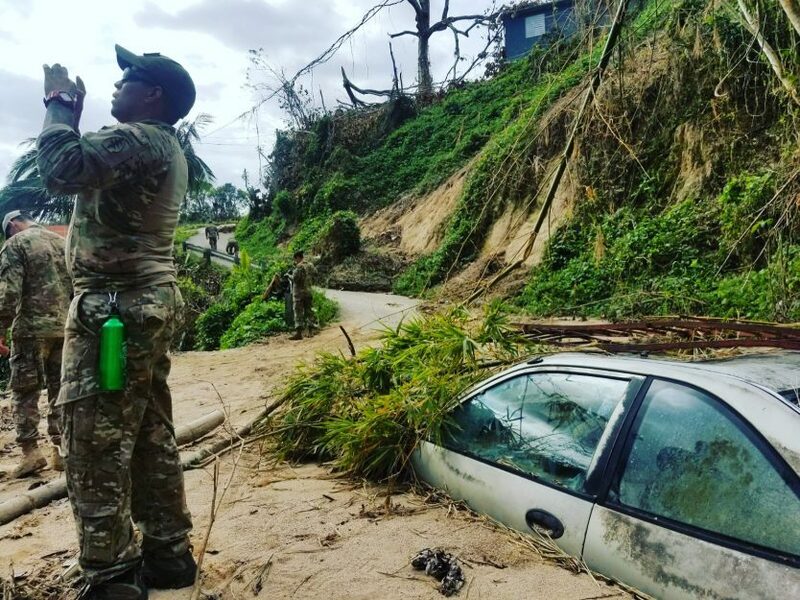 The storm disrupted medical services across the island, and many households were left for weeks without water, electricity, or cell phone coverage. As with any major natural disaster, assessing the loss of life caused by Hurricane Maria was difficult and contentious. For disaster-related deaths to be confirmed in Puerto Rico, bodies must be transported to San Juan or a medical examiner must travel to the region to verify the death. This makes it difficult to log deaths caused by delays in treatment or chronic conditions that worsened in the aftermath of the storm. To produce an independent estimate of lives lost as a result of the storm, the researchers surveyed 3,299 households across Puerto Rico, stratified for remoteness. Researchers asked about infrastructure damage, displacement, and deaths. The study estimates a death rate of 14.3 deaths per thousand [95 % CI, 9.8 to 18.9], between September 20 (date of hurricane Maria) and the end of December, up from a rate of 8.8 at the same time in 2016. By comparing this post-hurricane mortality rate with the same time period in 2016, the study team estimated that there were 4,645 additional deaths in 2017 during the period following Hurricane Maria [95% CI, 793 to 8498]. The researchers caution that their estimate is uncertain due to its limited size, but propose that surveys offer a cost-effective, rapid approach to assessing the impact of hurricanes when infrastructure is damaged. In addition to a significantly higher death toll, the study shows that the average household surveyed went approximately 41 days without cell phone service, 68 days without water, and 84 days without electricity following the storm. More than 30 percent of surveyed households reported interruptions to medical care, with trouble accessing medications and powering respiratory equipment being the most frequently cited challenges. In the most remote areas, 83% of households were without electricity for this entire time period. The study team represents a collaborative effort among different departments at Harvard and the Harvard T.H. Chan School of Public Health, including Harvard FXB, along with colleagues at Carlos Albizu University in Puerto Rico and the University of Colorado School of Medicine. The study was conducted in January and February 2018. The team has made all of their anonymized data, analysis, and code publicly available for review. They have made all of their anonymized data, analysis, and code publicly available for review. The study has garnered a great deal of attention. In a press conference on the morning of study publication, the governor of Puerto Rico said he welcomed the study and that his government was working to improve their method of calculating mortality due to disaster, and more importantly, their overall public health response to such disaster. Links to some of the press stories are below. Links to FAQS in English and en Espanol. Link to database for anonymized data and analysis. Research Information article on this paper being named the most discussed academic paper in 2018 by the Altmetric 100 of Times Higher Education (and in the six years of the statistic). December 2018. Story updated June 3 to add FAQs.